Our mission is to provide comprehensive services to children with an emphasis on assisting families in understanding their child’s strengths and areas of need. Brookville Center is approved by the New York State Education Department and the Department of Health to provide educational and therapeutic services to children with developmental delays or disabilities. Brookville Center operates at five separate locations- Marcus Avenue at New Hyde Park, SUNY Old Westbury, Barbara C. Wilson, Post Avenue at Westbury Friends and our locations at Brookville’s AHRC campus. Brookville Center for Children’s Services is an Office of Children & Family Services (OCFS) approved and licensed Day Care Program. Children are afforded an enriching experience and adhere to the New York State Standards of Early Childhood Learning. Activities such as music, arts and crafts, language, motor, pre-academic and technology are taught by appropriately credentialed staff. Brookville Center is a 2015-2016 School of Excellence by the National Association of Special Education Teachers (NASET). This honor is presented to private special education schools that meet rigorous professional criteria and have demonstrated truly exceptional dedication, commitment and achievement in the field of special education. Brookville Center provides a 12-month therapeutic program for children with developmental delays and developmental disabilities. 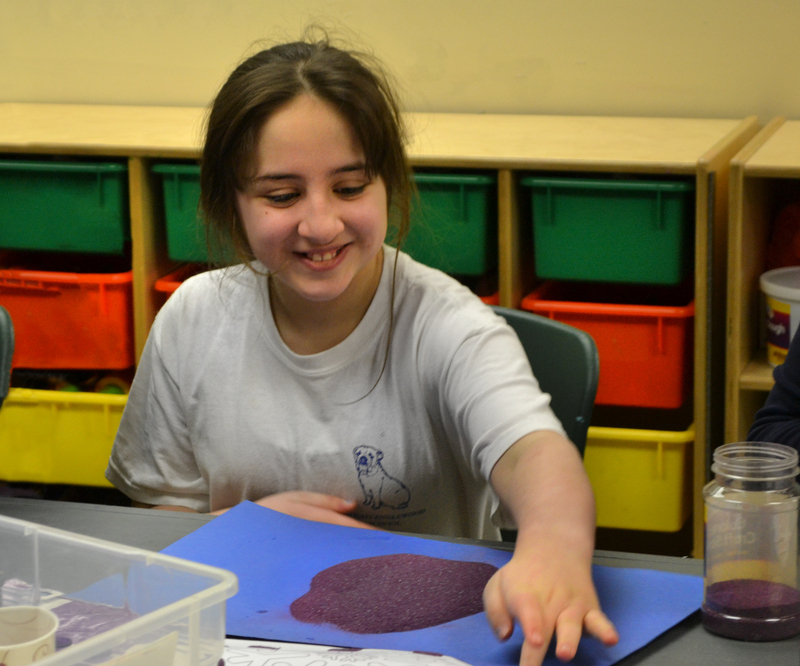 The school age program serves students 5-21 years of age with intellectual disabilities, multiple disabilities traumatic brain injury and autism. Children are referred to this program from their local school district’s committee on special education. Students in the program benefit from a high staff to student ratio, 12:1:4, 10:1:3 or 6:1:3.5. Students are grouped according to age and academic needs. Each class is a program to itself and curriculum is driven by the student’s Individual Education Plan and New York State Education Departments’ Standards for Education. Students may receive an array of services as mandated by their Individual Education Program (IEP).